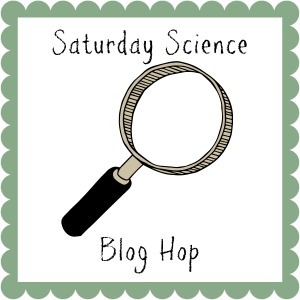 As always, I am excited to be back for another Saturday Science. 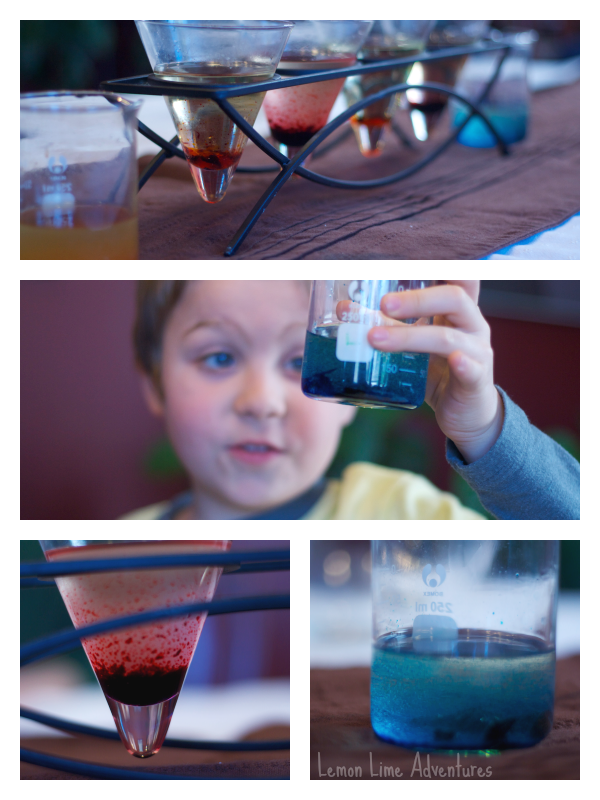 Science is such a staple in our house and guides the rest of our lessons for the week. If you are a regular here, you know about our 12 months of Sensory Dough Series. If you are new, you definitely should check it out. 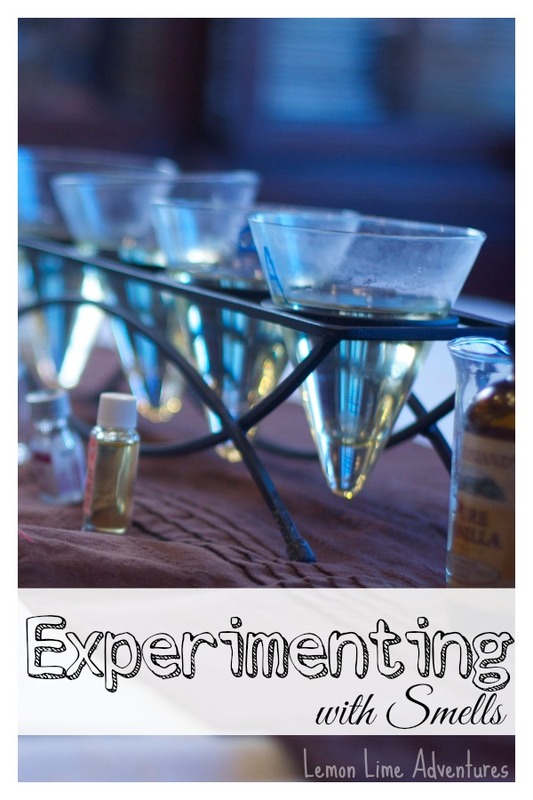 Anyways, today I am excited to share our scented science experiment for kids. It was a must for creating our rainbow scented cloud dough. 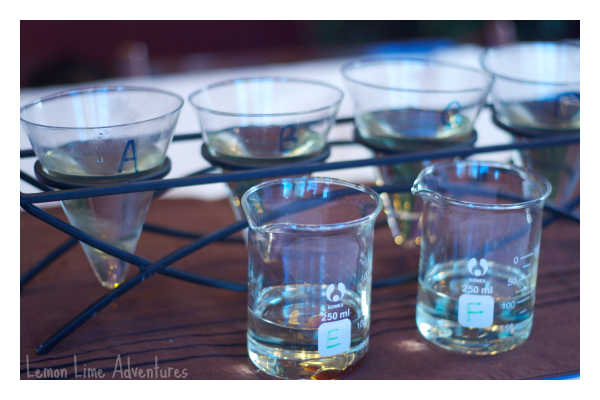 Next, we smelled each oil and described what we smelled. How would you describe the smell? Is is sweet or sour? Is it strong or light? Is it spicy? Does it remind you of anything? 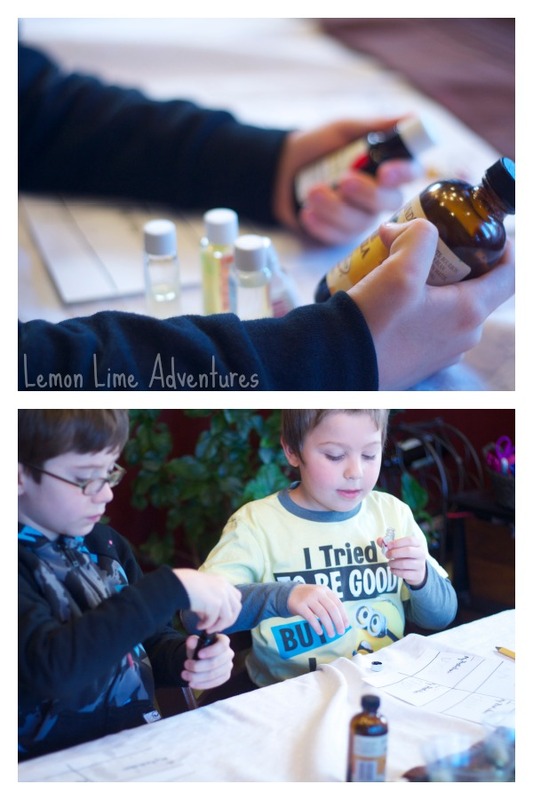 The boys (ages 6 & 8) both guessed similar things for each scent. They recorded their predictions and the letter of each liquid. 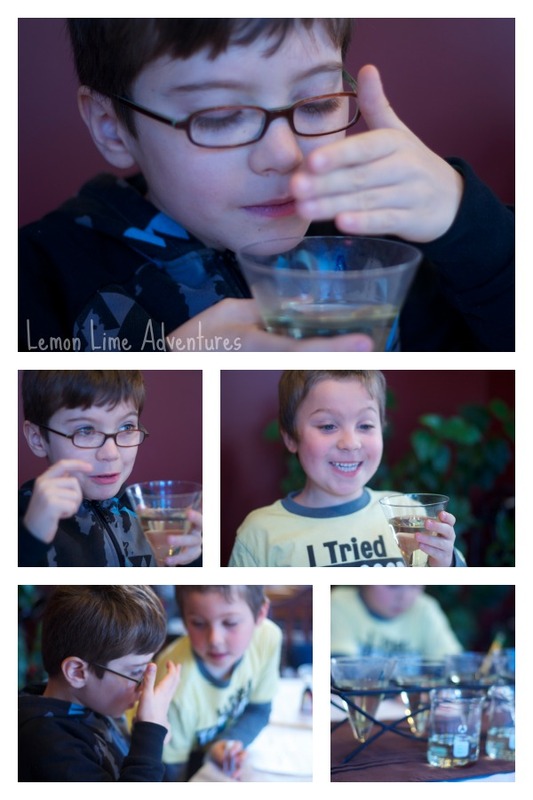 Teacher Tip: I like to teach my boys to be scientist and work like real scientist. This means teaching them how scientist never sniff with their noses directly into something. Instead they use their hands to fan the air towards their noses. This is a safety precaution that is extremely helpful to teach at a young age. After the boys thought they knew all the scents (they could not figure out almond or cinnamon), I brought out the containers. I really wanted to have the real items for them to match, but we were short on time. If I did this again, I would definitely have the real items on hand to compare. In fact, the boys want to try this again, so we will probably try a few different scents next time and I will be more prepared! 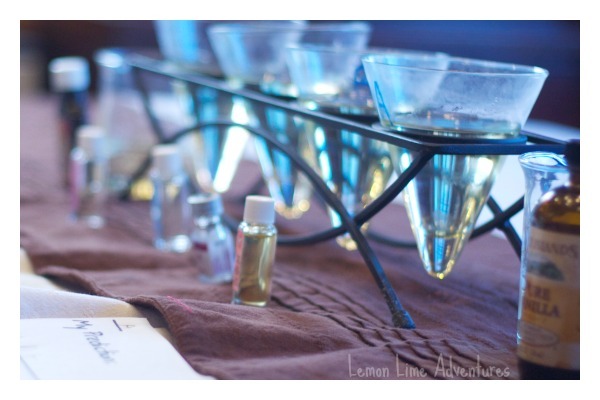 Finally, we matched the scents to the different oils. Now we were ready to mix in the color and make our Rainbow Cloud Dough! But something unexpected happened. Oh No! The two didn’t mix. In fact it created beads within the oil and the boys were fascinated. Can you guess our next science experiment? Be sure to check out our Rainbow Cloud Dough! You look like an official science lab there — love the beakers and cylinders! How much fun! Thank you! We love our beakers. We actually got them from a wedding of a dear friend. I always love your science ideas! This is a great way to use the sense of smell and it must have been fun guessing what each scent way! You are always too sweet! Thank you so much! BTW I LOVE that you are teaching them to waft and not shove noses in! Fantastic science technique! Thank you! You are too cute! I can’t say enough good things about this experiment! I love that you showed them the right technique for smelling things, too. 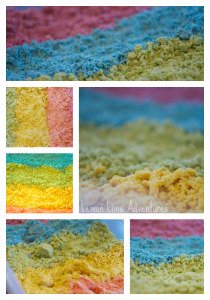 My 6 year old is now begging to try this out…..along with the rainbow dough, of course!